Triazophos, O,O-diethyl-1-H-1,2,4-triazol-3-yl phosphorothioate, (TZ) is an organophosphate pesticide widely used as an insecticide in agriculture fields, however, its adverse effects on cognitive function remain unknown till date. The present study was designed to identify the effect of TZ on cognitive function in order to gain an insight into the molecular mechanism(s) probably involved in TZ induced toxicity. Wistar male albino rats were orally administered with TZ at 8.2 mg/kg bw daily for 30 days. Cognitive function was assessed by evaluating step down latency (SDL) in passive avoidance apparatus, transfer latency (TL) on elevated plus maze and escape latency (EL) using morris water maze. The biochemical changes, in terms of malondialdehyde (MDA), reduced glutathione (GSH) and brain derived neurotrophic factor (BDNF) levels were evaluated in hippocampi regions. Relative mRNA expression and protein expression of BDNF were also evaluated. The results demonstrated that rats treated with TZ showed significantly (p < 0.01) reduced SDL and prolonged TL and EL as compared to control group rats. Moreover, significantly low (p < 0.01) mRNA expression and protein levels (p < 0.001) of BDNF, increased MDA and reduced GSH levels were observed in TZ treated rats. 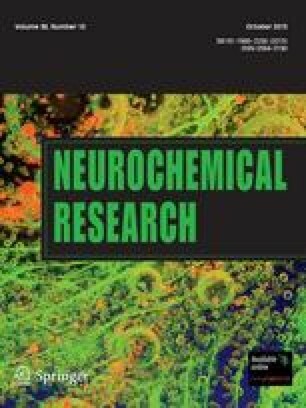 The study concludes that chronic exposure to TZ significantly impairs the learning and memory which may be attributed to the significantly reduced mRNA and protein expression of BDNF in hippocampus. Moreover, BDNF is negatively correlated to MDA levels and positively correlated to GSH levels. Hence, it can be suggested that interplay between BDNF and oxidative stress plays an important role in mediating the toxic effects of TZ. One of the authors ‘Ms Smita Jain’ is grateful to Council of Scientific and Industrial Research (CSIR) for awarding financial support as Senior Research Fellowship. The authors acknowledge Dr. Mohit Mehndiratta, Assistant Professor, Department of Biochemistry, UCMS for providing help and support during utilization of Real Time PCR system.